How can computing can motivate pupils and raise standards? In my opinion and experience, using technology to motivate pupils has been the easiest area to address. In the technological world that we live in, children are finding themselves more and more exposed to technology around them. They see the benefit of it (as well as the downsides! ), they see the purpose of it, and the impact it can have. They also see the entertainment levels it can provide at times. Incorporating technology into the curriculum allows the pupils the chance to use the tools that they find ‘exciting’ to help support them with their work, and there is a clear buzz around the room when any form of technology has been used. With the change in the new computing curriculum, I have found it possible to make more engaging and purposeful links to other subjects with computing than ever before. In the past I have used Scratch to complete work linked to the Romans and Space, I have used 2Simple’s 2DIY programme to complete 3D games linked to the Romans in year 3. We have also linked to Design and Technology through the use of Lego WeDo (used in conjunction with the Scratch software) to create programmable devices. Children’s engagement and enthusiasm throughout these types of activities have been extremely high and certainly helps them to see a purpose to their Computing skills. With regards to raising standards, this is the more difficult aspect to judge. It could be argued that the higher engagement levels through the use of computing would have a direct impact on standards. However I believe that it is difficult to measure. Certainly the use of coding in the computing curriculum promotes the improvement of reading skills as well as computational thinking and editing (debugging) skills. It is probably difficult to believe that it doesn’t impact on standards, but at the same time is hard to measure the actual impact that it does have. 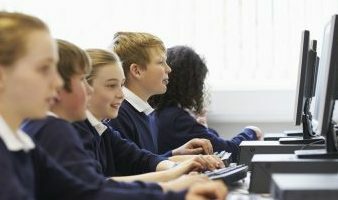 Can poor teaching in computing hinder pupil progress? Certainly it can hinder progress in the computing curriculum! Quite often I hear of so many schools where teachers simply don’t teach computing directly as they feel that they don’t have the skills themselves in order to teach it well enough. However I don’t hear of teachers not teaching maths or English simply because they don’t feel confident in it! It is almost seen as an acceptable excuse that if a teacher doesn’t feel confident using technology then they can brush over the computing curriculum. However this can be seen as hindering progress of pupils’ as they will miss out on opportunities already discussed. They may never get to publish a newspaper or a leaflet using professional looking software because it is “easier to use pen and paper”, but does this allow the children the opportunity to understand the process that editors have to go through to edit and redraft, or the importance of layout and presentation? Our Core Four Computing network sessions are facilitated by SLEs who are experts in their field. The content of each session covers current issues and addresses personal needs. These leaders may be experienced or new to the role. See details of our upcoming Core Four sessions here.